Helps reduce the look of fine lines and wrinkles. Reflects light to reduce the look of imperfections. Helps protect skin from free radicals. Aqua/Water/Eau, Caprylic/Capric Triglyceride, Butylene Glycol, Glycine Soja (Soybean) Oil, Cetearyl Alcohol, Glyceryl Stearate, PEG-100 Stearate, Hydrogenated Olive Oil Caprylyl Esters, Nylon-12 Fluorescent Brightener 230 Salt, Polyvinylalcohol Crosspolymer, Palmitic Acid, Glycerin, Palmitoyl Tetrapeptide-7, Palmitoyl Tripeptide-1, Xanthan Gum, Glycosaminoglycans, Mica, Cetyl Alcohol, Caprylyl Glycol, Sodium Hydroxide, Tocopheryl Acetate, Disodium EDTA, Lecithin, Retinol, Hexylene Glycol, Lavandula Stoechas Extract, Linoleic Acid, Stearic Acid, Cetearyl Glucoside, Polysorbate 20, Carbomer, Ethylhexylglycerin, Phenoxyethanol, Titanium Dioxide (CI 77891). Retinol (vitaine): Helps stimulate collagen growth and epidermal renewal for a more even skin tone. Mica and titanium dioxide: Micro particles help diffuse light optically, reducing the look of crow's feet and expression lines. Vitamin E: Antioxidant to help protect skin from free radical damage. Matrixyl 3000: Peptides to help stimulate collagen and elastin growth for skin strength and elasticity. MDI complex: Mimics glycosaminoglycans, which helps restore moisture to skin, and blocks matrix metalloproteinase enzymes to reduce collagen breakdown. Lavender and phyllanthus emblica fruit extract: Antioxidant to help protect skin along with calming and soothing properties. Dab small dots of eye cream beneath the eyes. Gently pat the eye cream along the orbital bone and beneath the eyes until fully absorbed. Avoid using this eye cream if allergic to any of its ingredients. There is no information about the use of this product during pregnancy. There is no information about the use of this product during breastfeeding. Keep out of the eyes; rinse thoroughly with cool water if necessary. Stop use if rash or skin irritation develops. May increase sun sensitivity so always use sunscreen protection. This eye cream should not generally cause any severe side effects. If skin irritation or rash develop, discontinue use. These may not be all the possible side effects. This eye treatment helps prevent and repair signs of aging, such as crow's feet. The eye cream is suitable for all skin types. When should I use this eye cream? Use this eye cream twice a day, in the morning and evening, after cleansing skin. Why do doctors recommend this eye cream? Dermatologists and plastic surgeons may recommend this eye cream to patients of all skin types who have signs of aging in the eye area, such as crow's feet and dark circles. How does ZO® INTENSE EYE CRÈME work? The ingredients in this eye cream help stimulate collagen and elastin growth, and minimize breakdown of collagen, increasing skin strength and elasticity to help reduce the look of wrinkles. Particles help diffuse light to reduce the look of other skin imperfections near the eyes, and other ingredients help hydrate and calm skin while using antioxidant properties to help protect skin from free radical damage. 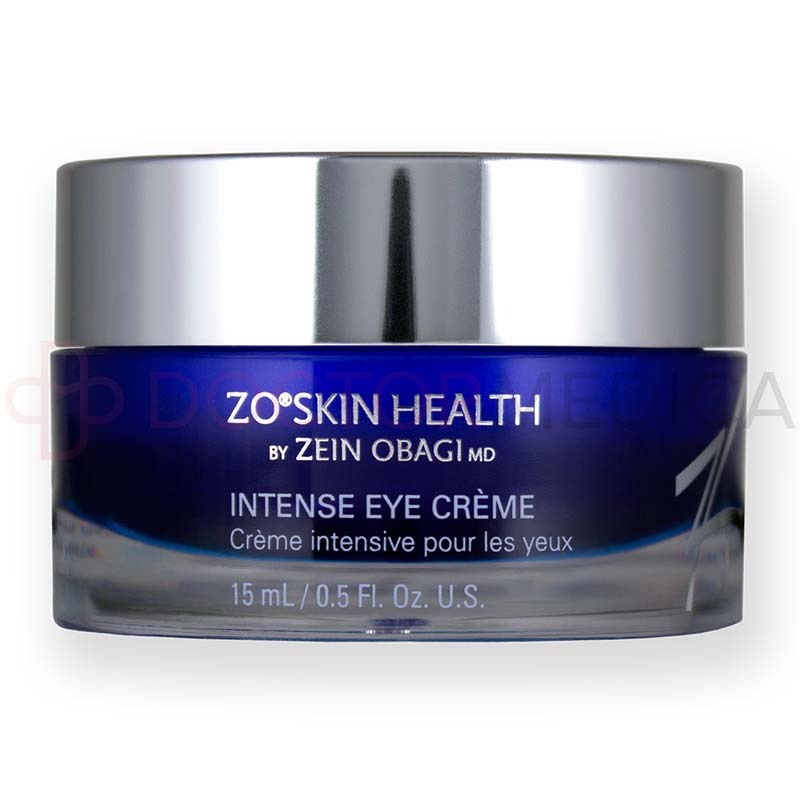 When and how do I use ZO® INTENSE EYE CRÈME? How do I use this eye cream? Use this eye cream twice a day, in the morning and evening after cleansing skin. First, gently dab small dots of eye cream beneath the eyes. Gently massage the eye cream into the skin along the orbital bone and beneath the eyes until it is all absorbed. Dab small dots of eye cream onto your skin. Gently pat your skin until the eye cream fully absorbs beneath your eyes and along your orbital bone. 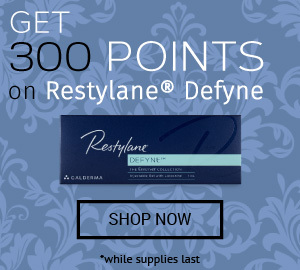 Can this eye cream be combined with other treatments? Use this anti-aging eye cream with other ZO® products or with other skin care products. 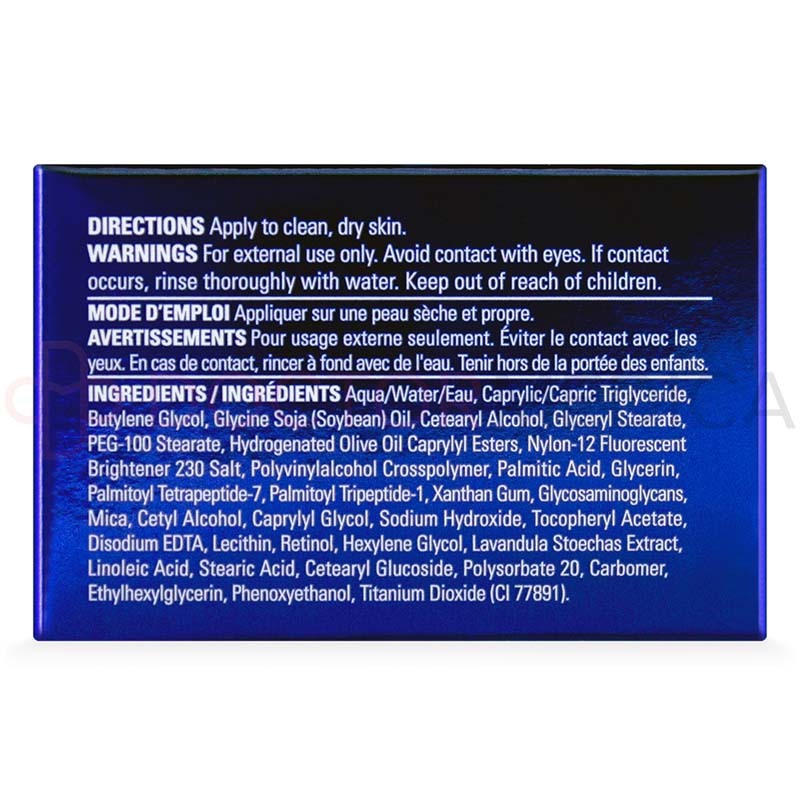 How do I store ZO® INTENSE EYE CRÈME? Store this eye cream at room temperature, out of the reach of children. 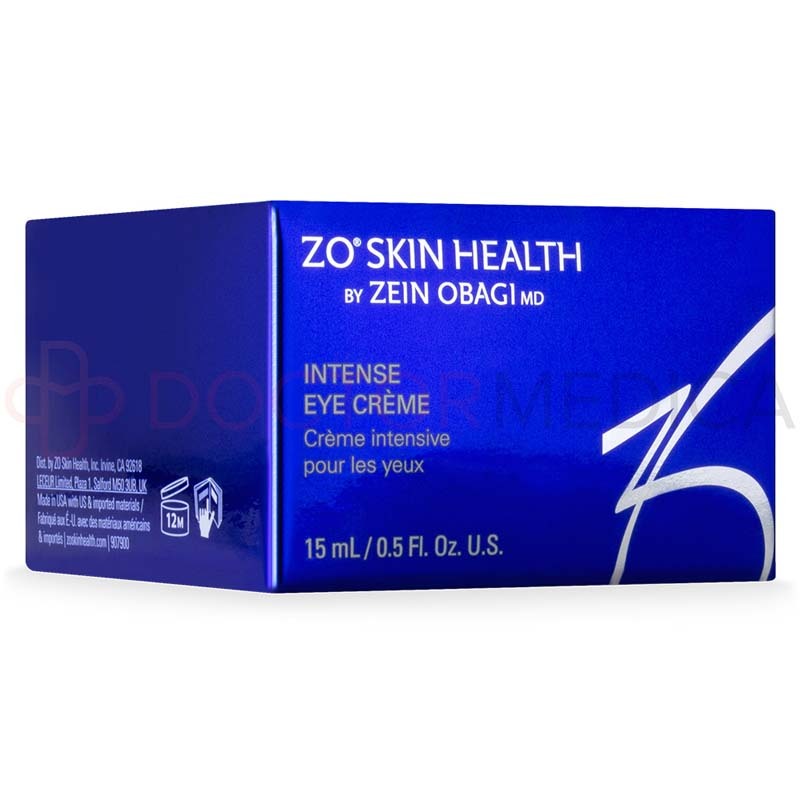 Where can I buy ZO® INTENSE EYE CRÈME? 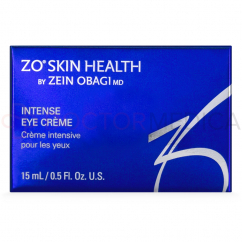 You can buy ZO® INTENSE EYE CRÈME online at Doctor Medica by choosing a quantity and adding to cart. You can also phone a helpful customer service associate to order this eye cream or other cosmetic and medical supplies.